If you’re searching for a new compact pickup truck for your adventures around Milwaukee and Whitefish Bay, a new Toyota Tacoma truck for sale at Andrew Toyota is a hard option to beat! This small-but-mighty Toyota truck stands head and shoulders above most competitors, especially if you’re the type to break from the beaten path. Explore our Milwaukee Tacoma inventory in-depth before scheduling a test drive near Glendale. CHECK THIS OUT!!! A Super White 2019 Toyota Tacoma TRD Pro V6 4WD 6-Speed Automatic V6 4WD! DEALER INSTALLED OPTIONS INCLUDE: FRONT TINT WINDOW, RUNNING BOARDS, TAILGATE EMBLEMS, MIRROR COVERS, POWER TAILGATE LOCK,AND RIDGE GRAPPLER TIRES 265/75R16. DEALER INSTALLED OPTIONS ARE VALUED AT $2,894! Purchase a new 2019 Toyota Tacoma TRD Pro 4D Double Cab for $49,304! All prices plus tax, title, license, and $299 dealer service fee. Does not include College Grad or Military Rebate. Offer applicable to stock#37392 only. Why Choose a New Toyota Tacoma Truck for Sale at Andrew Toyota? So, why should you come to us? 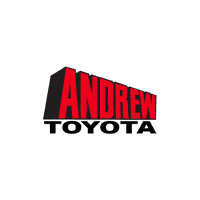 Among Milwaukee dealers, Andrew Toyota sets itself apart by offering superior service, from the moment you contact us til the moment you drive home to Menomonee Falls or South Milwaukee. We’ll continue to provide support and service for as long as your vehicle remains on the road, and we’ll help you get the best value when it’s time to trade in your old ride.